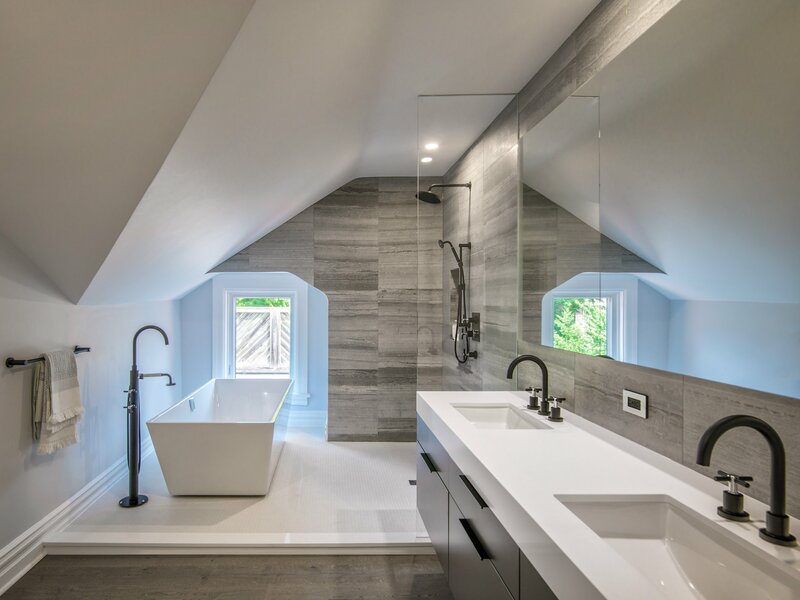 Tranby Residence | Williamson Williamson Inc.
Discovering a listed historic home in Toronto, virtually intact on the interior as well as the exterior, is rare. 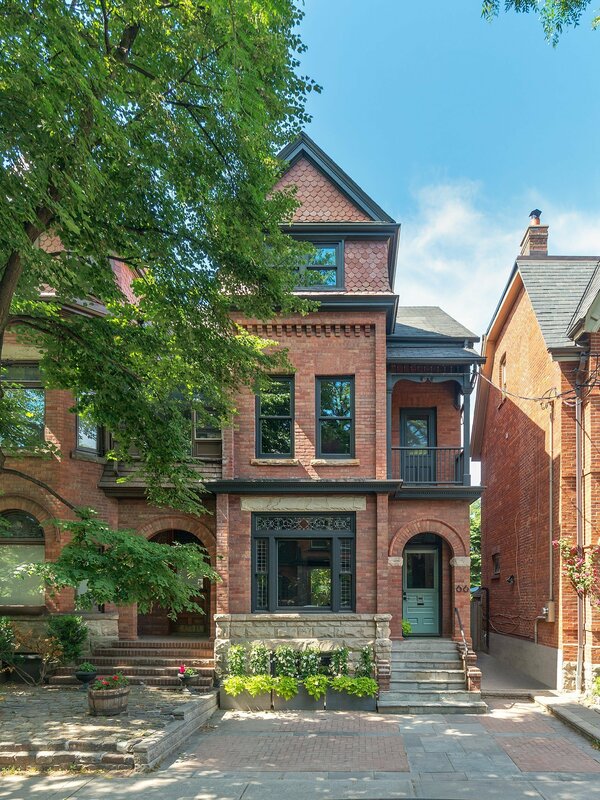 Completed in 1892, this semi-detached house on Tranby Avenue is a classic Annex Style home massed in brick and borrowing elements from the Richardson Romanesque. Over the front door, an original Birds of Tranby stained glass window that was gifted to each house on the block by the builder still hangs. 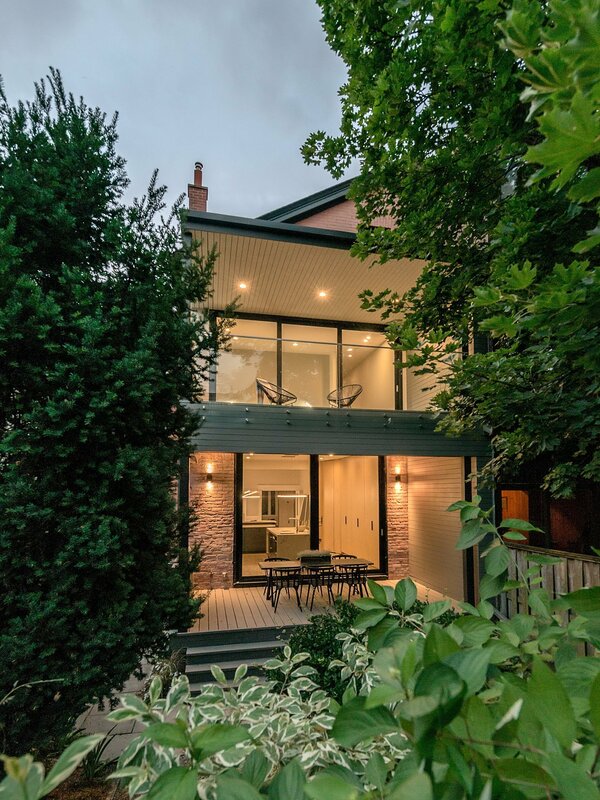 For a renovation initiated by a young team of developers looking to establish a portfolio of well designed, high quality and creative projects, this home was a jewel in need of careful restoration while being re-set with elements of a modern home. 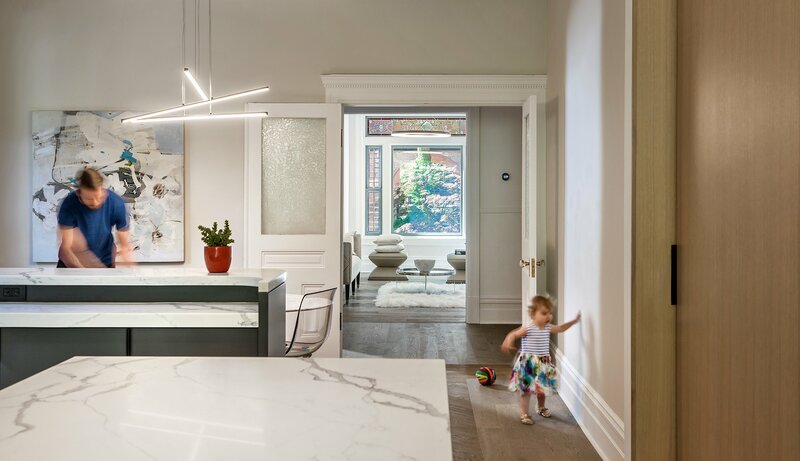 While it was important that the original details were meticulously maintained, it was equally critical that the modern millwork, spaces and lighting were distinct and seen as separate, as opposed to blending into the original house. Every original detail that could be saved was protected and restored including plaster moldings, the figural stair railing, a paneled living room pocket door, and metal floor grilles. All the original stained glass on the front of the house was intact, although badly in need of repair. As an example of the kismet that surrounded this project, the great-grandson of the original glass artist who created the Birds of Tranby windows took pride in restoring all the leaded glass in the house. Even the original decorative hardware was cleaned and reinstalled, allowing transom windows to operate, and original keys to work again in their locks. 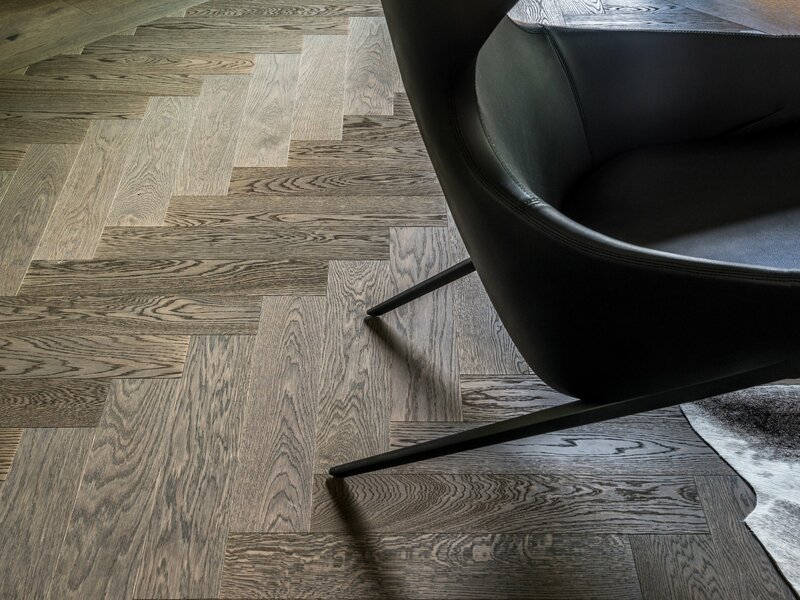 Where new pieces were added to the house, the design approach was to make them modern and distinct. 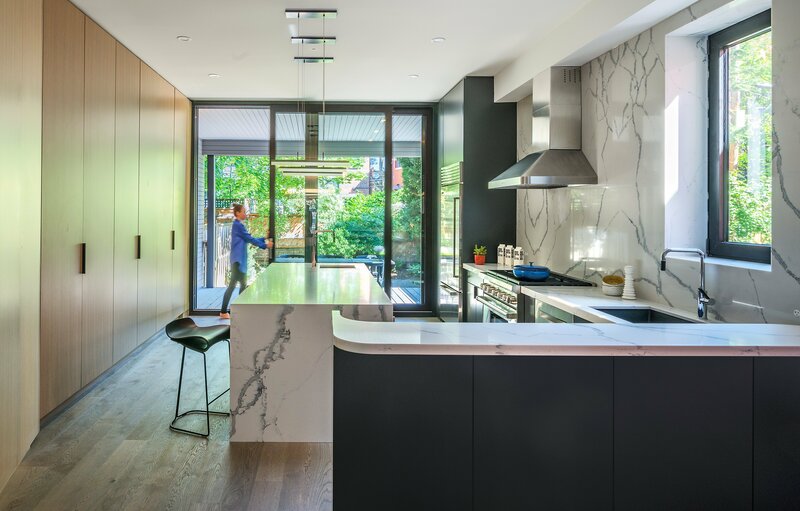 Oak millwork lightly washed with a grey stain slips behind a molded corner into a space that previously served as a back-of-house walkway to the kitchen. The original kitchen was removed and replaced with a light filled space that opens to the original Dining Room and to the rear yard. 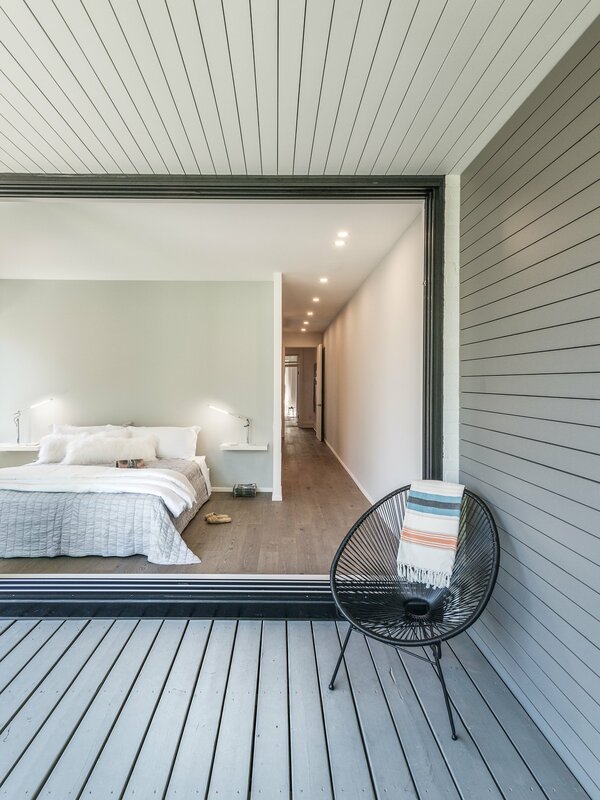 A second floor sun room addition was removed and an exterior deck that conformed to the original plans was rebuilt with modern details. Finding a balance between the traditional and the modern allows both aspects of this house to come through equally strong. In a city with a dwindling supply of historic properties, the idea was to develop a project that would last another 100 years.